I tried some delicious peanut butter bars that a friend of mine had made and I HAD to make them myself. 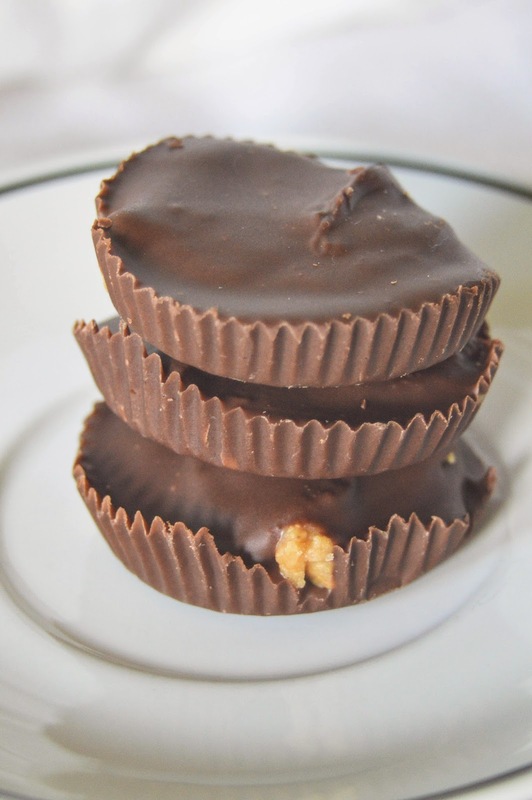 I was up for a challenge and wanted to have some fun and make them into peanut butter cups. It is actually much easier than I thought it was going to be. One thing I notice when I look at recipes is the amount of butter. It always seems so unnecessary. Two sticks of butter for something that has only 12-24 servings? No thanks. I always cut the amount of butter in half, at least. I either replace it with something or just cut it out all together and have a thicker, dryer consistency. I can deal with that, I have yet to be disappointed. So once again, with the original recipe, I cut out half the butter and half the powdered sugar. I also made a half batch of the peanut butter mixture from the original which was plenty. And there were singing angels at the first bite. No, I'm serious. Okay it was me. I was the one singing at first bite. 1. Combine all ingredients in a bowl except for chocolate chips using an electric mixer. 3. 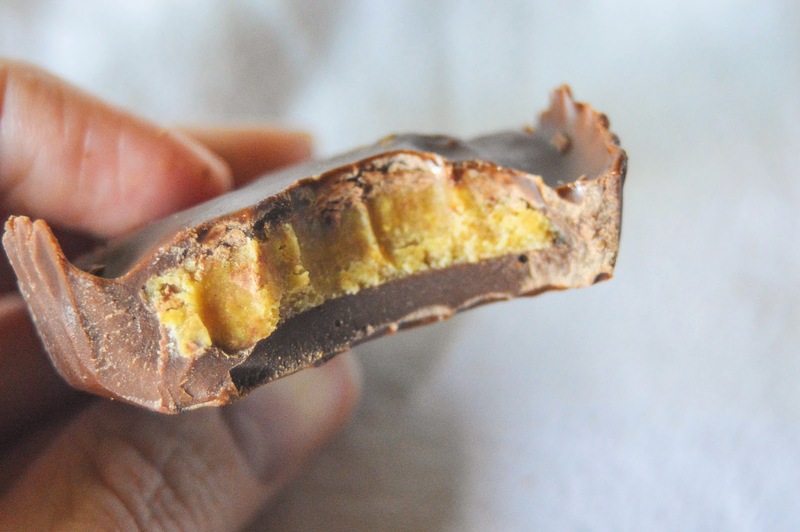 Melt chocolate chips in the microwave or using a double boiler. 4. Spoon chocolate in each of the cupcake liners. Make sure chocolate is evenly distributed across the bottoms and you can do that simply by dropping the pan on the counter a couple times. 6. 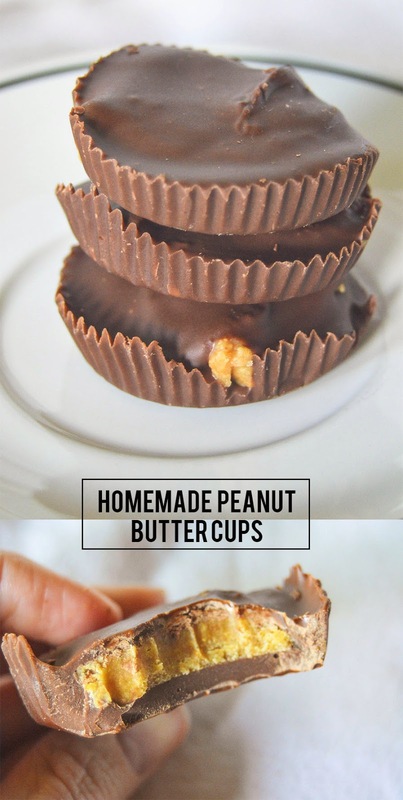 Take out and spoon in peanut butter mixture into each cup. Make sure peanut butter is flattened. 7. Spoon remaining mixture of melted chocolate on top. 8. Freeze for another 15 minutes. 9. You can take out of the freezer and remove the liners or leave them on, whichever you prefer. Oh this is such a dangerous recipe for me to pin. 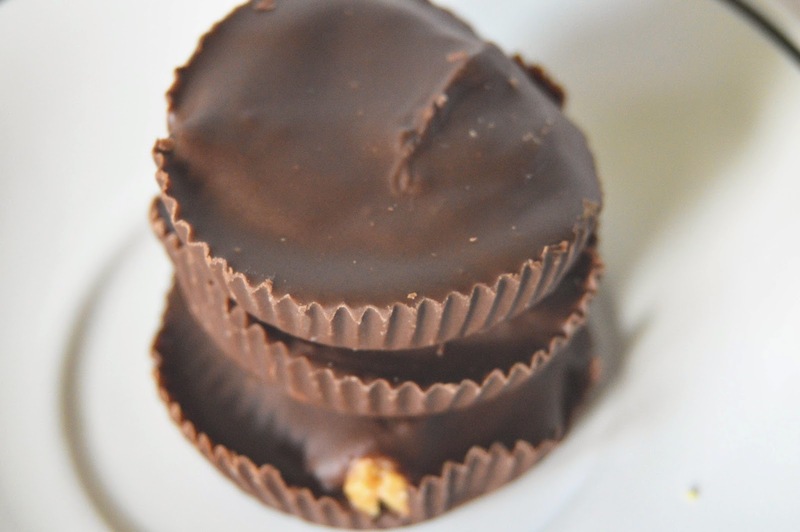 I love love love peanut butter cups. Thanks for sharing on Merry Monday.